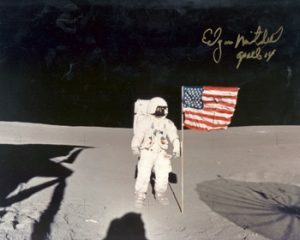 (1930 – ) 10×8“ Colour photograph showing Aldrin in his Space suit. 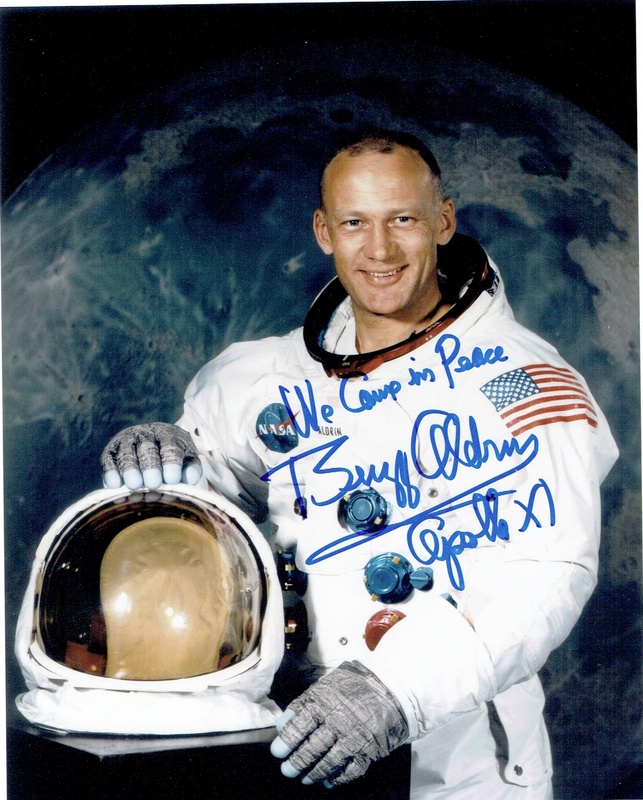 Aldrin has signed “We come in peace, and added Apollo XI”. A wonderful example and with the added inscription, will only appreciate. 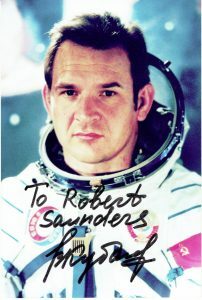 Obtained in person at a signing session. 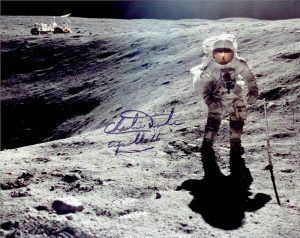 Aldrin now charges $600 for a signature, and more for added words.